Eating healthy is easy with recipes like these. 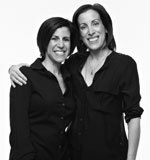 Get ready to flip, and double dip! 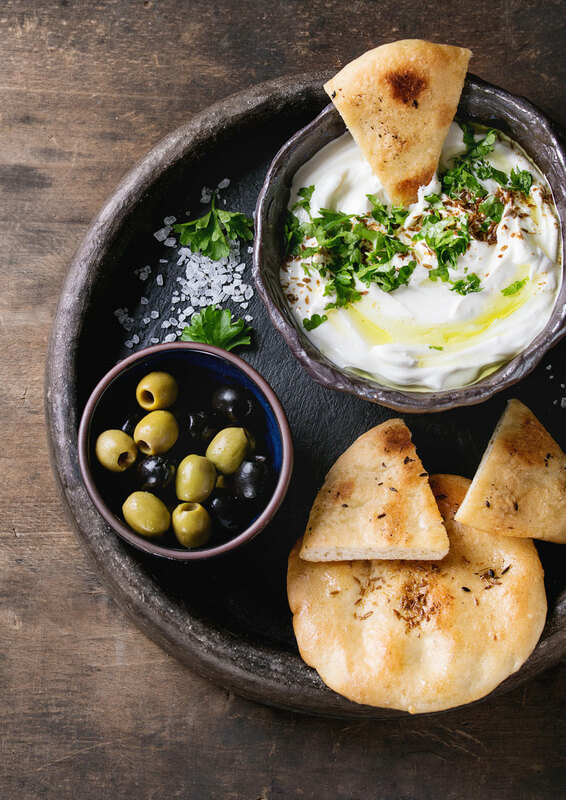 Inspired by Trader Joe’s dip, this healthy spinach and kale greek yogurt dip is so awesome you’ll want to eat it with a spoon! In a medium bowl, mix all ingredients and refrigerate at least 1 hour prior to serving. Season to taste. 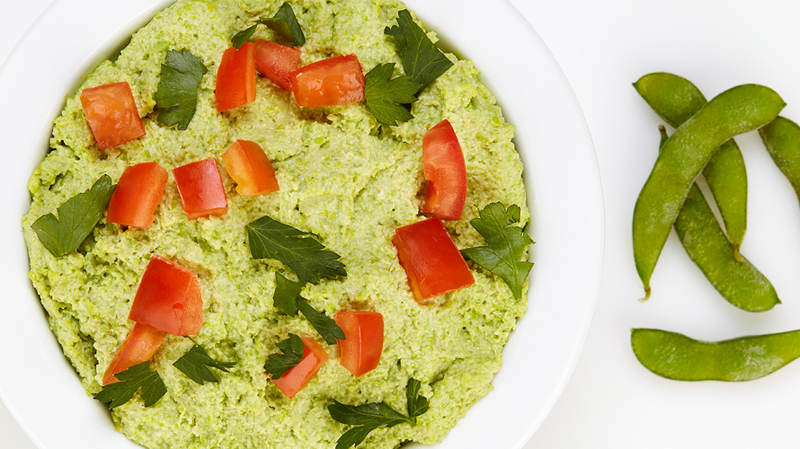 This easy and healthy edamame hummus is a tasty twist on a classic, complete with tahini, garlic and lemon juice. 1) Thaw (or cook according to package directions), rinse and drain edamame. Set aside. 2) In food processor, mince garlic. Add edamame and process until somewhat smooth, scraping down the sides of the bowl as necessary. Add tahini, lemon juice, water and salt, processing until smooth. Season with additional kosher salt to taste, place in serving bowl and garnish tomatoes, parsley and a drizzle of olive oil. 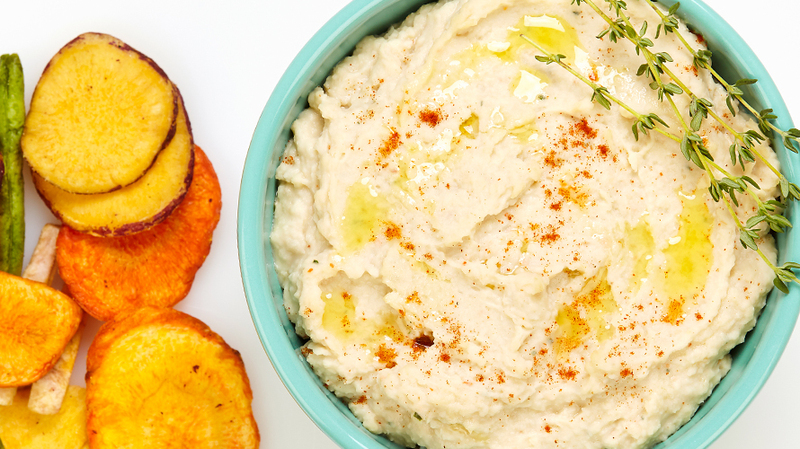 Get ready to double dip because this healthy white bean dip is the perfect mix of creamy beans, garlic, lemon and thyme. 1) In a small skillet, heat oil over medium heat. Add minced garlic and turn heat off immediately. Allow garlic to sit in the oil for 30 seconds and then strain out garlic pieces, reserving the flavored oil. Set aside to cool slightly and discard garlic from the sieve. 2) In a food processor, combine white beans, reserved garlic flavored olive oil, lemon juice, water, thyme, salt, black pepper and cayenne. Process until smooth, about 20 seconds. The dip may be refrigerated a few hours ahead of serving. Bring to room temperature before serving. Love buffalo wings but your waistline doesn’t? 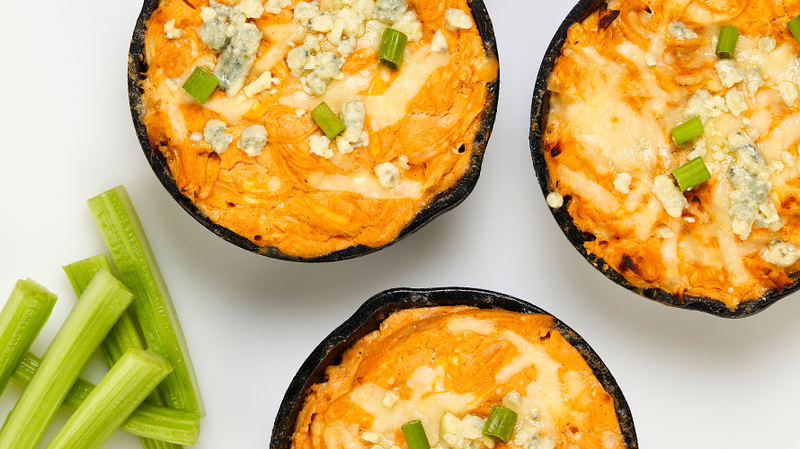 We’ve slimmed down buffalo chicken Dip to deliver flavour without all the fat. 1) Preheat oven to 350ºF. Coat an 8×8-inch baking dish or 9-inch cast iron skillet with non-stick cooking spray. 2) In a large bowl, whisk cream cheese, yogurt and buffalo wing sauce. 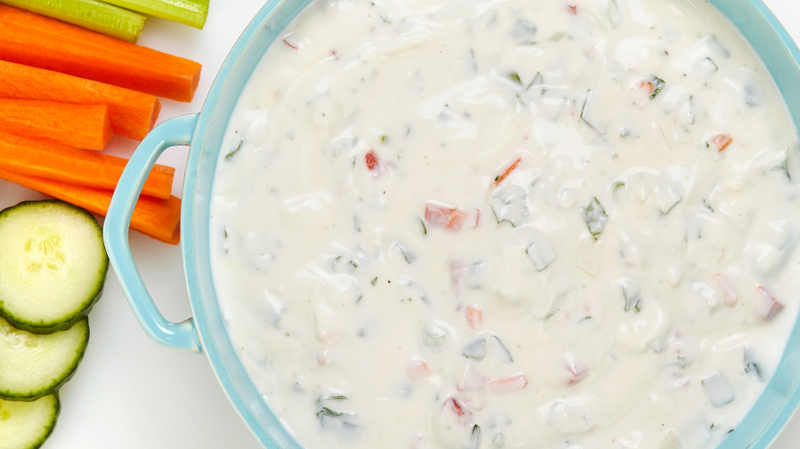 Fold in ½ cup shredded mozzarella, 2 tbsp blue cheese. Pour into prepared baking dish and top with remaining ½ cup mozzarella cheese. Bake for 30 minutes, or until cheese melts and edges turn golden. Remove, top with remaining 2 tbsp blue cheese and garnished with chopped green onions. Serve immediately. 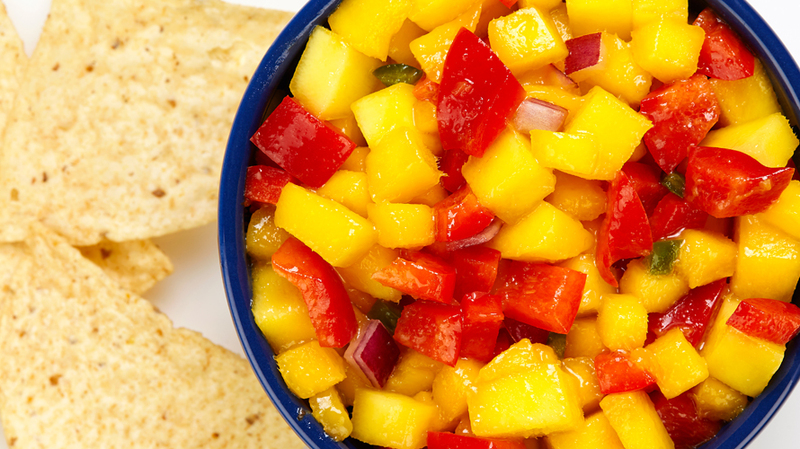 Dip, dunk or pile it high, this fresh and fantastic mango salsa is a deliciously refreshing mix of mango, onions and peppers. In a medium bowl, combine all ingredients. Gently fold together with a rubber spatula and let the mixture sit at room temperature for at least 30 minutes. Garnish with cilantro. Serve with tortilla chips or with chicken or fish.